Rita Brent & Maranda J share funny and educated opinions about life, & chat with some cool people! In this episode, we talk with Natalie A. Collier, founder of The Lighthouse | Black Girl Projects, a non-profit dedicated to providing a safe space for women and young black girls. We chat with her about the process of working for others to starting a non-profit. Take a listen and chime in on social media to let us know what you think. Jessica Simien, founder of Simien Media Group, kicks off our Women's History Month with valuable information about blogging for your business! We also dig into Gayle King's interview with R. Kelly, and the Jordyn Woods "scandal". And later in the show, our pointless debates get heated! Listen, follow, and comment on whatever stands out to you! EP 12: Did Black People Ruin Black History Month This Year? In this episode, we explore all of the good, strange random and bad activities of some black folks during Black History Month this year. We talk about Jussie Smollett, R. Kelly (again), and to boycott or not to boycott Gucci. We had to tell someone black that we no longer want to work with them. Ever. We also discuss the role an artist should play in speaking up about social issues. All of this and more of the usual. Highs and lows, What's Poppin' and Pointless Debates. Like, comment and subscribe. In this episode, we talk about the real struggles of working for yourself and some of the things we have done to overcome those struggles. We also chat about the Grammy's along with some really fun pointless debates! Check us out and don't forget to like, share and comment. Ep 10: Cruisin’ (to Cozumel) Together! We’re on a Boat! Yes, we recorded our 10th episode on a cruise ship! After taking ONE cruise together, Rita Brent and Maranda Joiner are self-proclaimed experts and can't wait to share with you ALL the tips on taking a cruise! Rita talks about her phobia of vomit and Maranda recaps her epic karaoke performance. We also discuss how organic tequila in Cozumel changed our lives! 15 shots and no hangover? How Sway?! Plus, stick around for the normal "pointless debates" shenanigans! Follow us on IG and Facebook! In this episode, we talk about what it feels like to survive and thrive in your 30s. We touch on the government reopening, Kamala Harris and a new documentary coming out on Michael Jackson. Should we #MuteMichael too? All of this plus our usual shenanigans. Follow us on IG and Facebook @comebackchicks and don't forget to like, comment and share! EP 8: Let’s Talk Branding, Soulja Boy and Forgiving Chrisette Michele. In this episode, we talk about the Soulja Boy whirlwind that hit the internet recently. Whiiiiiirlwind?!?!? And we chat about if Chrisette Michele deserves forgiveness from her performance at Trump's Inauguration after all this time. All of this plus our usual shenanigans. Follow us on IG and Facebook @comebackchicks and don't forget to like, comment and share! Shaaaaaaaree?!?! Yes, share us!! In our seventh episode, we talk with Torrez Harris about the government shutdown and how African Americans can take advantage while Trump is in office. He also shares with us his thoughts about the real reason Trump wanting to build this wall. Also, during the Pointless Debates, we are divided about two superheroes and we'd love to know what you think. Episode 7 is loaded and full of great perspectives. Comment and share your thoughts on social media: @comebackchicks on Facebook & Instagram. 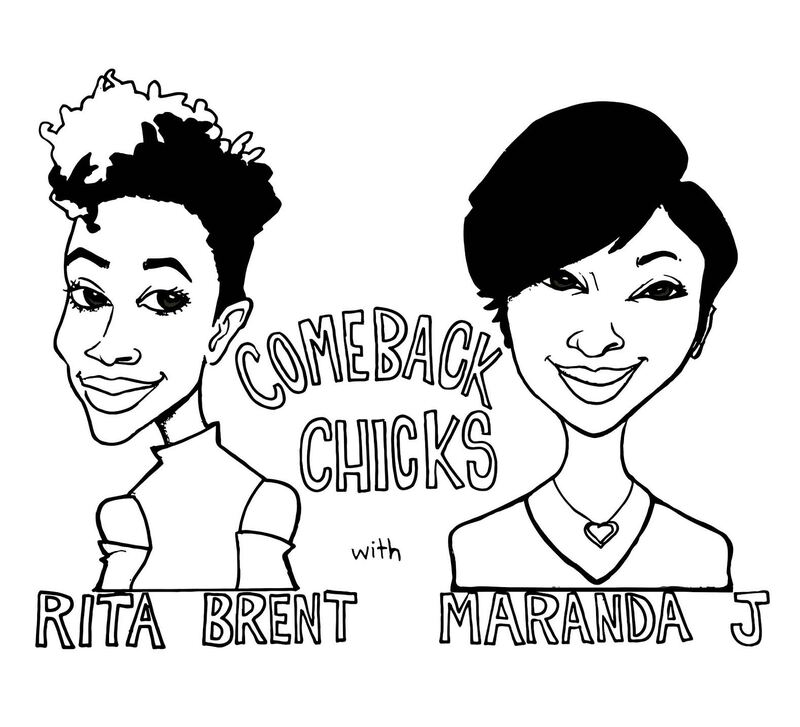 The Comeback Chicks enthusiastically return for Season 2, discussing everything from Maranda J. 's big jump into entrepreneurship, 'Surviving R. Kelly,' Rita's new obsession with Game of Thrones, and their preference for men with or without beards! In this episode, Rita and Maranda sit down to speak with Ron Carbo. Not only is he the owner of The Soulkitchen Studio but he's also a Producer, an Engineer, and a Grammy and American Music Award winner. He speaks about the chances he took to accomplish his goals and gives advice to anyone interested in being in making it in the entertainment business. Tune in and catch the Highs & Lows, Whats Poppin' along with the Pointless Debates! Episode 5 is loaded with all the good stuff.